In 1997 – 1999 he studied graphic arts at the Academy of Fine Arts and Design in Bratislava (VŠVU) and continued in the study of ceramics (1999 – 2000). 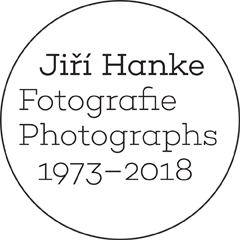 From 1995 to 1997 he was studied at the Akademie der Bildenden Künste Stuttgart. From 2001 to 2002 attended DAAD stiendium at Hochschule der Künste, Berlin. He has attended artist residencies in Bern /PROGR/ and in New York /ISCP. In 2008 he won the Oskar Čepan Award. Mikyta cofounded the Štokovec civic association (2008), and, as part of this, created a space for contemporary art at the railway station in Banská Štiavnica. He acts as a specialised assistant at VŠVU in Bratislava and lives and works in Ilija, Banská Štiavnica and Bratislava. Mikyta (born 1973 in Bytča) is considered a loner on the contemporary art scene. His artistic agenda features an interesting way of reflecting upon, reassessingand recycling the history and mythology of the Slovak nation, the national and personal identity, though not sentimentally and nostalgically, and not even with overt irony. He confident lyac knowledges his national and Central European identity. Working with the historic, collective and personal memory, he is interested in how ideological regimes suppress individual rights in favour of a collective identity. Drawing is the artist’s initial medium with an overlap into graphic arts, photography, object and installation. Although he studied graphic arts, he went beyond the borders of this medium in creating a progressive synthetic art work. We could classify his work into two main categories. The firstis drawing,which has the character of a record, is distinguished by a conciseness and is based on the use of various symbols, signs and images that are related to Slovakia (double cross, shepherd’s crook, cereal, potatoes, Jánošík, Ľudovít Štúr, Kriváň, the Tatra Mountains, etc.) . In the second category are his “redrawings”, a specificartistic strategy that works with various found materials such as book reproductions and historical photogravures that come from the artist’s interest in collecting. Mikyta uses drawing and painting to intervene in them. It is in this way, based on the principle of appropriation and artistic commentary that he created, for instance, a cycle with the motif of mass athletic activities (mass gathering of Sokol gymnastic organization) or those events connected with the period of totalitarian regimes (Spartakiáda). He conceives his painting and drawing interventions as commentary on the ideological manipulation of the times. A unique strategy is the use of a dominant historicizing frame that borders the “redrawings” and assigns to them the status of an object. He composes along with these object larger wholes with their own internal stories. It’s evident that the principle of reassessment and recycling is not only present in the deliberate artistic concept (return to Slovak mythology), but also in the artistic strategy in which the medium becomes a found secondarily used material. SVÄTOPLUK MIKYTA, Re-portraits Volume II, 2007, drawing on reproduction, courtesy Emmanuel Walderdorff Gallery,photo: gallery archive.